Help us protect our beaches! Please join us for the April Chapter Meeting! Ride into spring and join us at our Chapter Meeting on April 9th @ 6:30pm at OC Public Library. We will be discussing upcoming volunteer opportunities, our campaigns and programs such as Ocean Friendly Restaurants (OFR), Ocean Friendly Gardens (OFG), our Hands Across the Sand event, and hear from our Vice Chair Bill and OFG co-lead Carol about their recent trip to the Florida Keys in which they volunteered with and gained insight from another Surfrider chapter, as well as donated to the Conch Republic Marine Army. come out and help as we prepare for the start of the season! Surfrider South Jersey has been awarded grant money from the Cape May Beach Plum Association to award two partners to build ocean friendly gardens in Cape May County. We will award two $1000 grants to put towards each garden. An Ocean Friendly Garden promotes conservation, permeability, and retention (CPR) to revive our watersheds and oceans. It mimics nature and provides multiple benefits. We will work with the partners to create an Ocean Friendly Garden in a highly visible location. 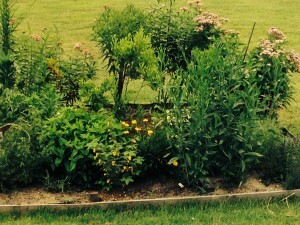 The partners must agree to maintain the garden long-term. Are you interested in applying? Follow the link here to apply. Applications are due by April 30th, 2019 and the two best projects will be selected by May 15, 2019. Please join us for a rain barrel workshop in Cape May Court House! 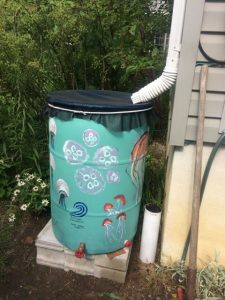 Surfrider South Jersey has partnered with the Cape May County Library (CMCL) for a hand-on workshop to build your own rain barrel that you will take home. Rain barrels are a great way to conserve water, to supply non-chlorinated water for gardening and to keep excess water out of the stormwater system. We will also learn about problems associated with stormwater runoff, ways to conserve water in you home, and watershed friendly landscaping techniques. Tools and supplies will be provided. the lecture, hands-on workshop, and taking the completed barrel home! Registrants from people from outside the county who do not have a card and can still register them with a visitor pass. We would like to welcome 4 new ocean friendly restaurants in the South Jersey area. These restaurants have met the ocean friendly standards as outline on our Ocean Friendly Restaurant page here . Surfrider needs your help passing legislation in New Jersey that would reduce plastic pollution on our beaches and in our waterways! Then say this when they pick up: I live in your district and I support NJ bills S2776 and A4330 to reduce plastic pollution. That’s all it takes! Phone calls make a huge difference, help us reduce plastic pollution in New Jersey! Go to the Action Alert page and contact your legislators. Please join us in congratulating our chapter in receiving the Governor’s Environmental Excellence Award on December 10th, 2018 along with Sustainable Downbeach. The Governor’s Environmental Excellence Awards recognize outstanding environmental performance, programs and projects in New Jersey. 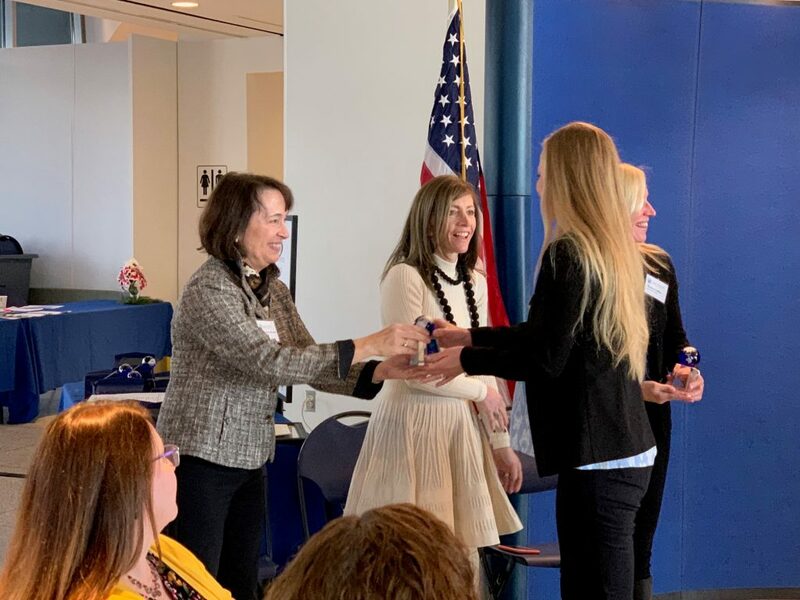 Surfrider and Sustainable Downbeach were recognized for their numerous efforts including but not limited to the support the single-use bag fee in Ventnor and a single-use plastic ban in Atlantic County parks. Both groups are also supporting the single-use plastic ban in Brigantine. The complete article detailing the award can be found here. Check out additional details on our programs and campaigns here. To get involved in Surfrider South Jersey – please join one of our meetings or events and/or become a member. DEP Commissioner Catherine McCabe and First Lady Tammy Murphy hands Beth Kwart the Governor’s Environmental Excellence Award. 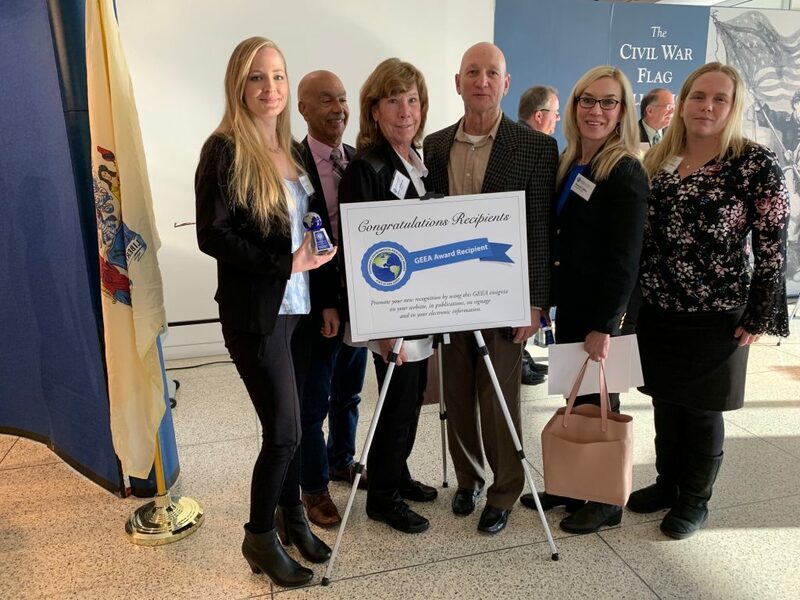 Beth Kwart – Chair of the Surfrider Foundation’s South Jersey Chapter, Longport Mayor Nick Russo, Diane Birkbeck of the Ventnor Green Team, Steve Jasecki of the Sustainable Downbeach, Monica Coffey of Sustainable Downbeach, and Meaghan Netherby of Surfrider’s South Jersey Chapter. Please join us on November 4th for beach cleanup! Thank you to all of the establishments and the patrons that support them!!! Join us for the monthly Chapter Meeting!